The Psychology of the Landing Page. To maximize conversions from a landing page, you need to understand how the visitors you're trying to connect with actually make decisions. What do they value? What social proof or reassurances are important to them? Here are some successful sites that do a great job of leveraging psychological concepts in their landing page design. Have you ever wondered why humans, unlike many animals, show so much of the whites of our eyes? The reason is so that we can see where another person is looking. This began as a means to convey thoughts and feelings to other humans but brought with it the added benefit of showing us where people are focused. Our fear of missing out (FOMO) causes us to want to look there as well. You can take advantage of this trait to help influence action online. While this is a high-level concept, it’s relatively simple to implement in your landing page. 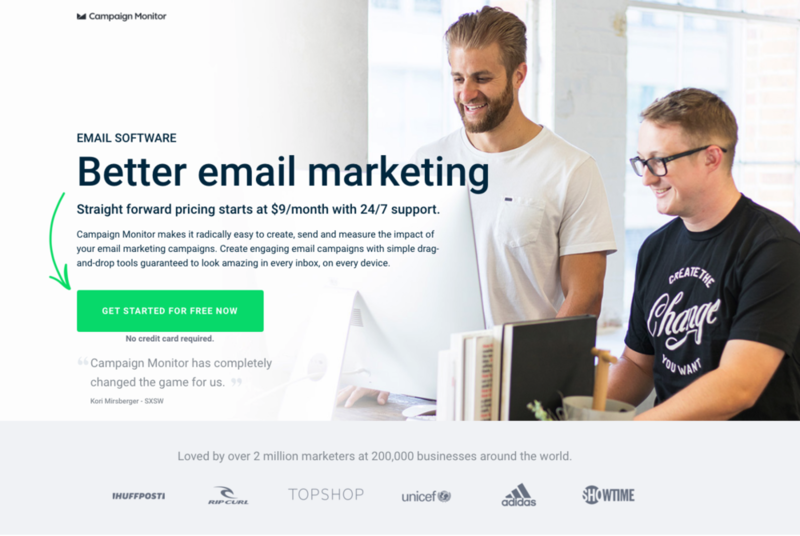 These two guys are looking at a computer monitor in the image, sure, but, featured in that direction is the meat of the landing page and the high contrast call-to-action (CTA) button. People can’t help but follow their gaze at that content! Make use of this with photography that directs your visitors’ attentions where they need to be. We’ve all seen the “one of these things is not like the other” memes. The impact of these images is actually due to a psychological phenomenon known as The Von Restorff Effect. Simply put, the Von Restorff Effect refers to our tendency to focus on things that stand out, and to remember them more. Would you rather: sign up for a free trial, or begin a demo? Their page is very minimalistic, which makes the large, high contrast CTA stand out. This automatically draws people’s eyes to this place, so they know the next step to take advantage of VWO’s services. Humans are herd animals. It’s the reason we formed our first civilizations and part of the reason we follow sports teams and form tribes around our choice in smartphone manufacturers. When we see a group of people doing something, we want to be a part of it too. It’s because of this predisposition that we rate everything. From movies to restaurants to apps and products on Amazon, we’re encouraged with almost everything we buy or consume to rate our experience. Spotify? Domino's? This company looks legit! Featured just as prominently as their call-to-action are logos of businesses that use their services. 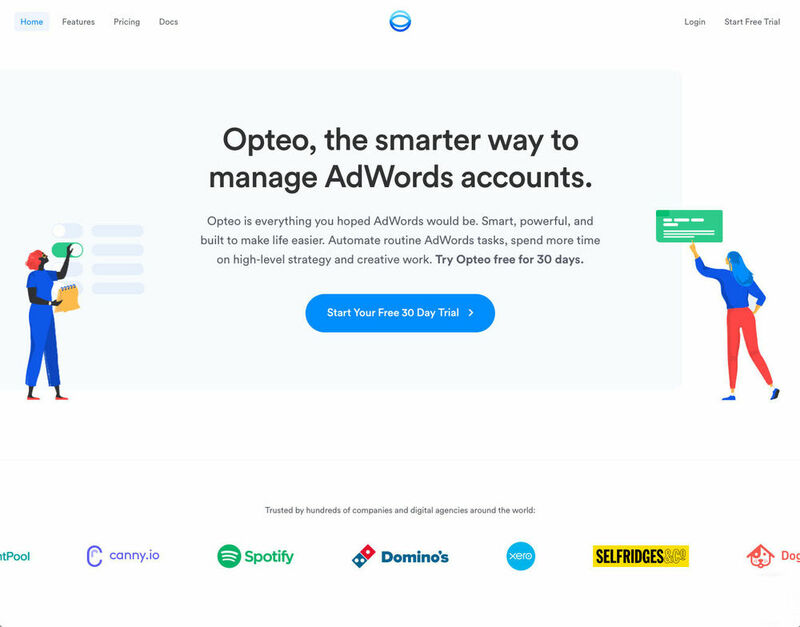 These aren’t individuals, but Opteo's consumers aren’t individuals. The concept of social proof can expand past individuals and into the B2B market. Walking down any supermarket aisle will show you that, sometimes, too much choice is a bad thing. When there are 27 types of potato chips, choosing one becomes nearly impossible (thanks again, FOMO). We’ve recently found, however, that the opposite can be just as bad. When given only one option, consumers have been proven to be hesitant to take it. 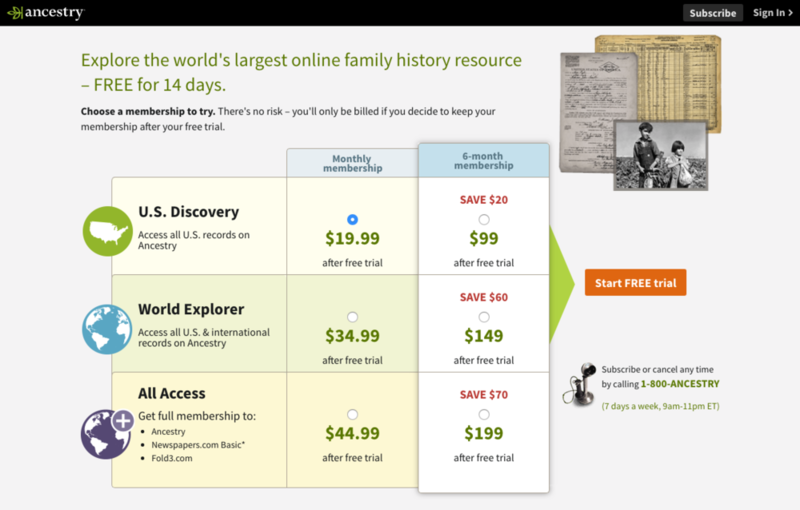 By adding additional options, along with a brief comparison, visitors have been given a choice, even though all choices end with purchasing services from Ancestry.com. Understanding your customers is paramount in having any successful business. Whether you’re shouting from the back of a wagon, designing large print ads for a magazine, or making intuitive landing pages for your websites, knowing how people will respond to these different forms of media is important. Actually implementing these concepts can be the difference between someone clicking your CTA or just drifting on to the next page on the internet. If you’re using an intuitive platform like PageCloud to create your website and landing pages, you’ll have the benefit of easily making changes yourself. 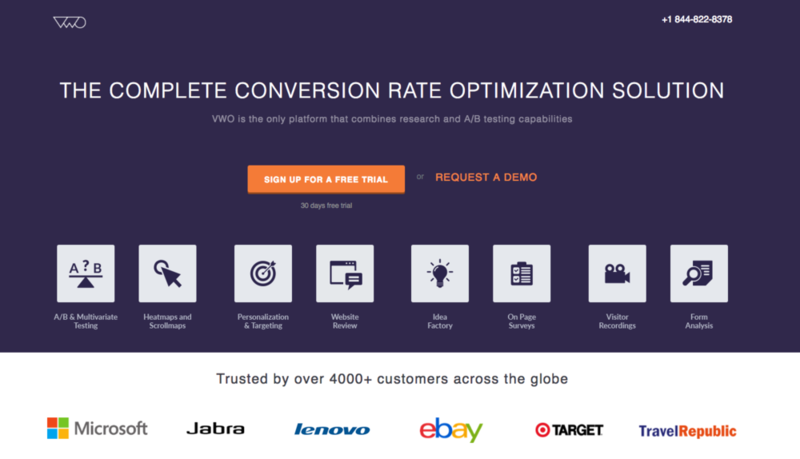 This lets you test different theories for boosting conversions on your site. Using Google Optimize to set up and run A/B tests on your site will help you see just how big of an impact the psychological effects detailed in this article can have on your traffic. Start testing them now—and if you’re having a hard time implementing the changes, it may be time to reevaluate your website building tool as well.